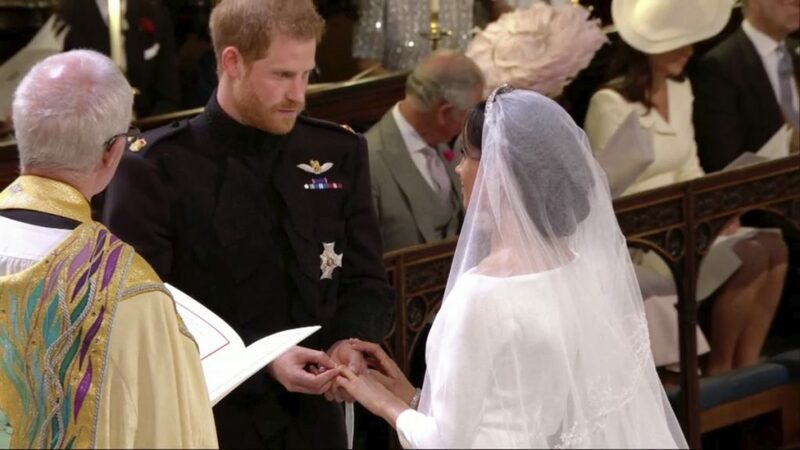 WINDSOR, England — Prince Harry and Meghan Markle gazed into each other’s eyes and pledged their eternal love Saturday as they married at St. George’s Chapel in front of hundreds of celebrity guests and millions of viewers around the world. 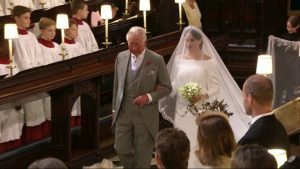 The American actress arrived to a fanfare and walked down the aisle accompanied part of the way by Prince Charles and by 10 young page boys and bridesmaids. The children included 4-year-old Prince George and 3-year-old Princess Charlotte, children of Prince William and the Duchess of Cambridge. 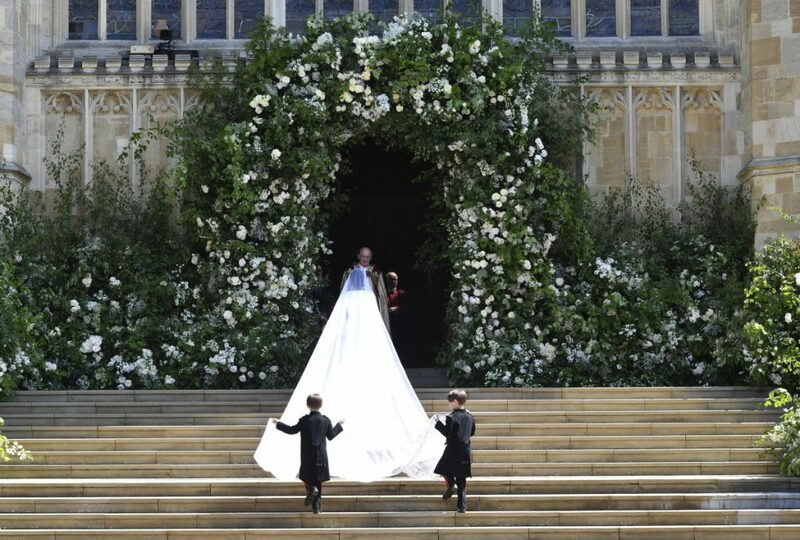 Markle’s sleek white dress, designed by British designer Clare Waight Keller, had a boat neck and was made of silk. 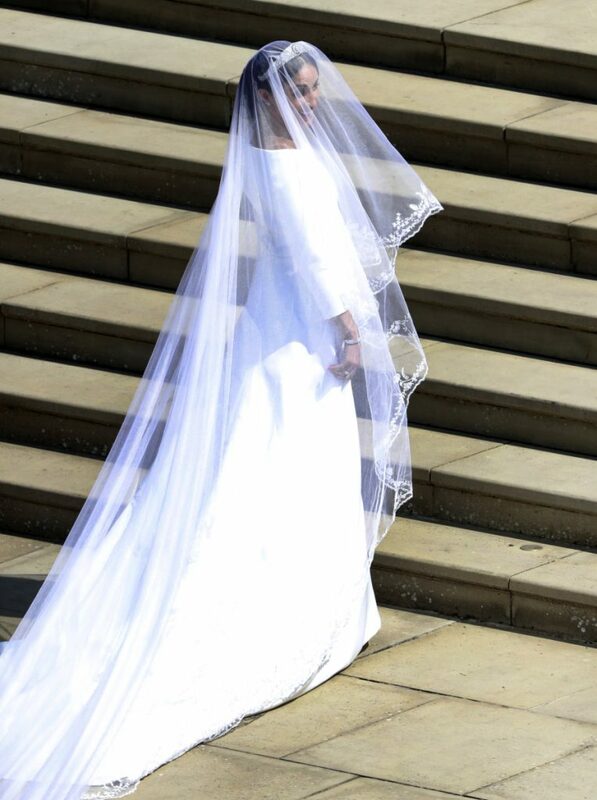 Her veil came to her waist in front and billowed out for many feet behind her long train. 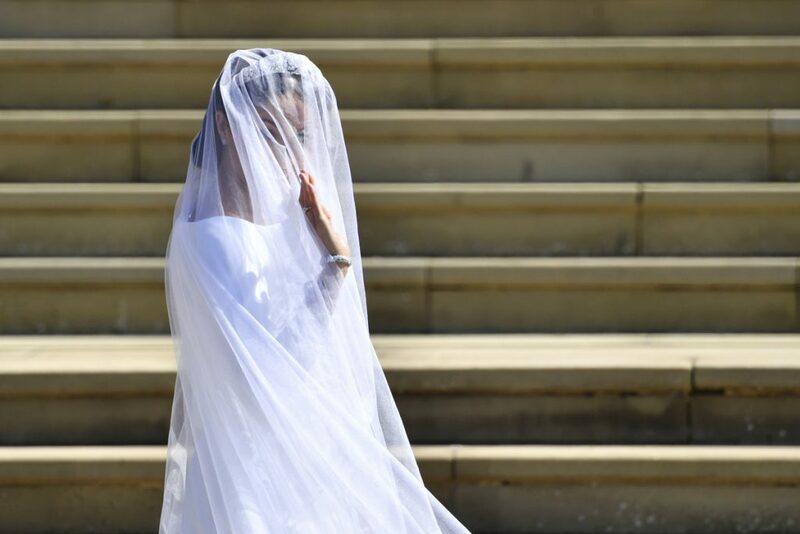 Markle seemed poised and confident as she delivered her vows without so much as a quiver in her voice. She smiled broadly as the Archbishop of Canterbury Justin Welby declared them husband and wife. 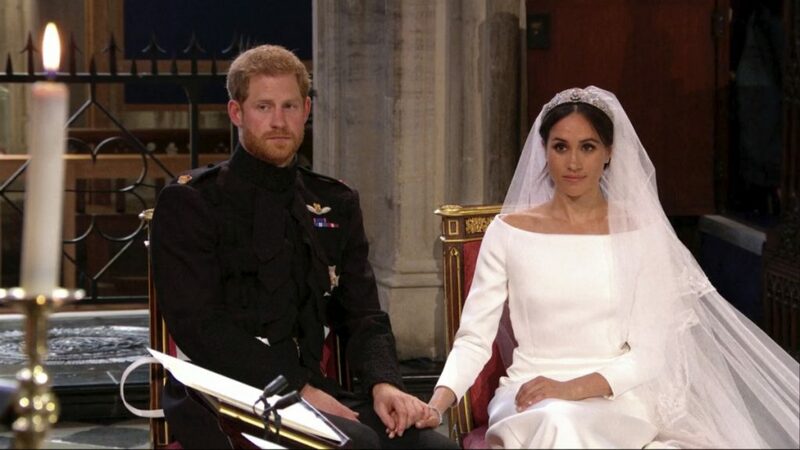 Harry seemed a bit nervous – but happy. 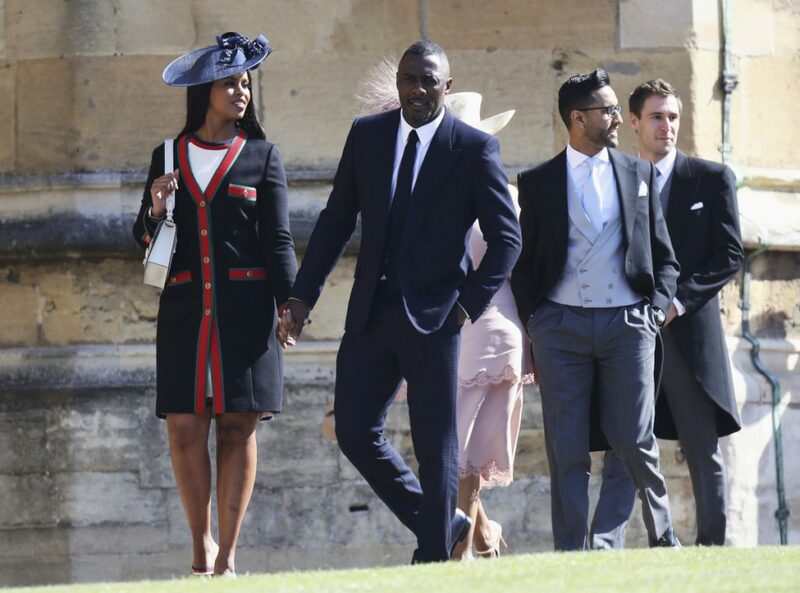 A host of celebrities and athletes – including Oprah Winfrey, Idris Elba, Elton John, George and Amal Clooney, Serena Williams, James Corden and David and Victoria Beckham – watched the ceremony in the gothic chapel at Windsor Castle. 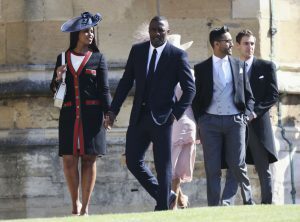 Sabrina Dhowre and Idris Elba arrive for the wedding ceremony of Prince Harry and Meghan Markle at St. George’s Chapel. 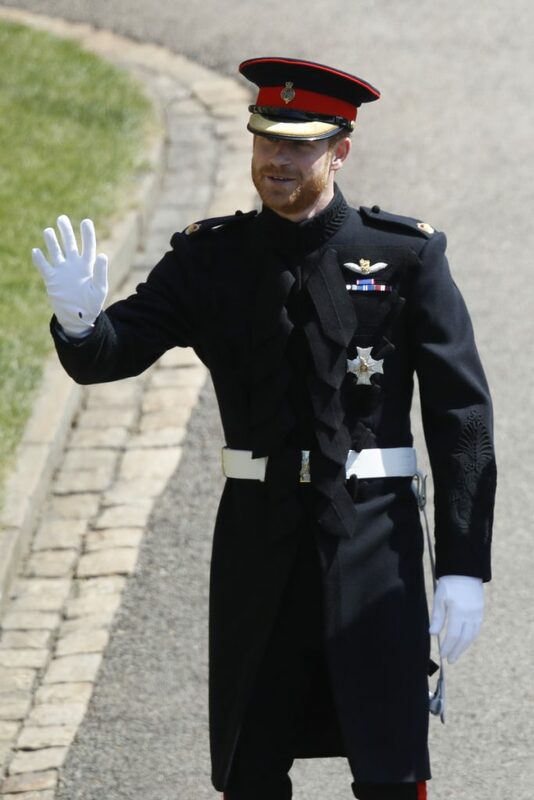 Prior to the festivities, Queen Elizabeth II honored her red-headed, 33-year-old grandson with a new title: the Duke of Sussex. 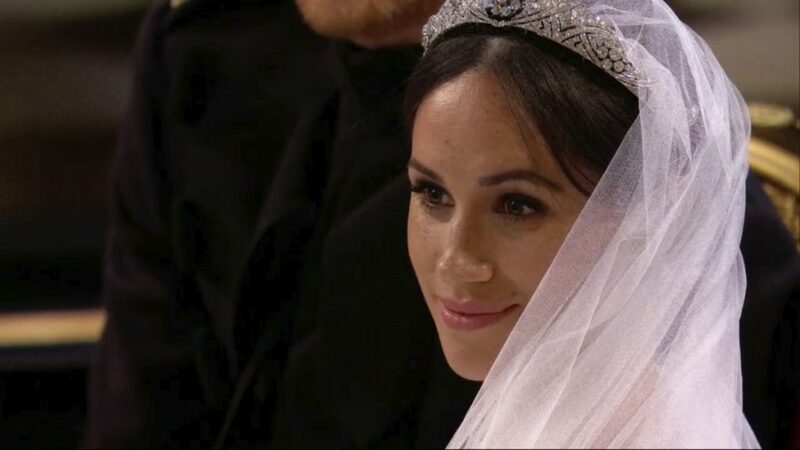 That means that Markle is now the Duchess of Sussex. 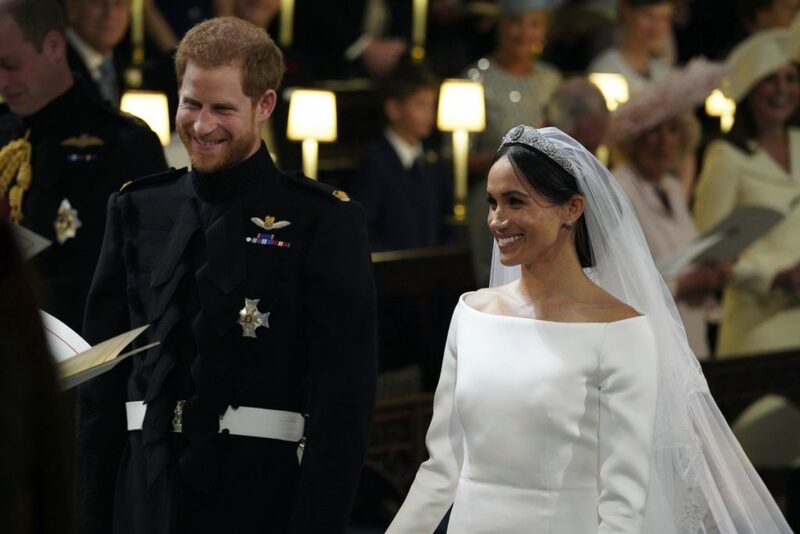 The wedding was a global event, thanks to Harry’s status as a senior British royal and Markle’s celebrity after starring on the U.S. television series “Suits” for seven years. 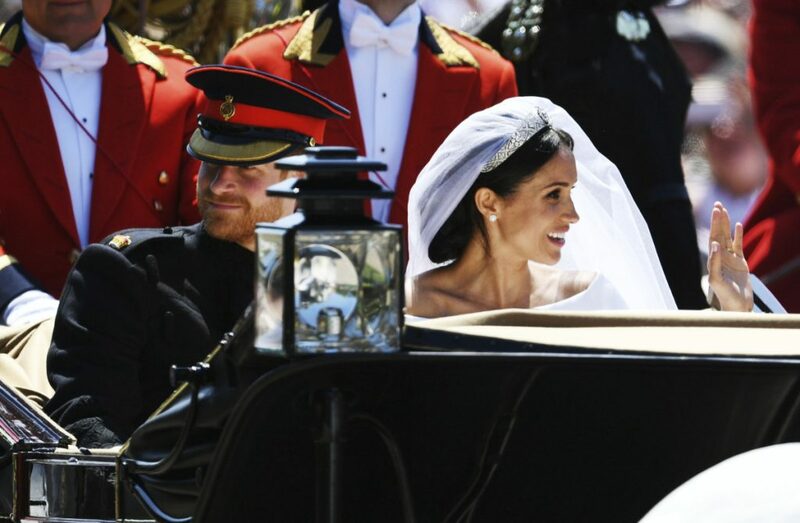 The wedding pomp and ceremony – complete with Anglican prayers and tradition, classical music, a gospel choir and a horse-drawn carriage ride through Windsor – was beamed live to tens of millions of TV viewers across the world. 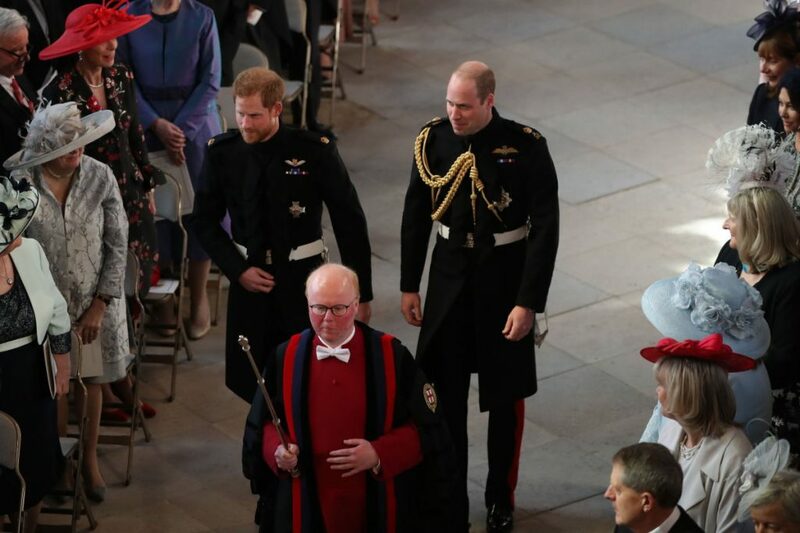 Relatives at the ceremony included Charles Spencer, the brother of Harry’s late mother Princess Diana, and Harry’s cousin Zara Tindall and her husband. 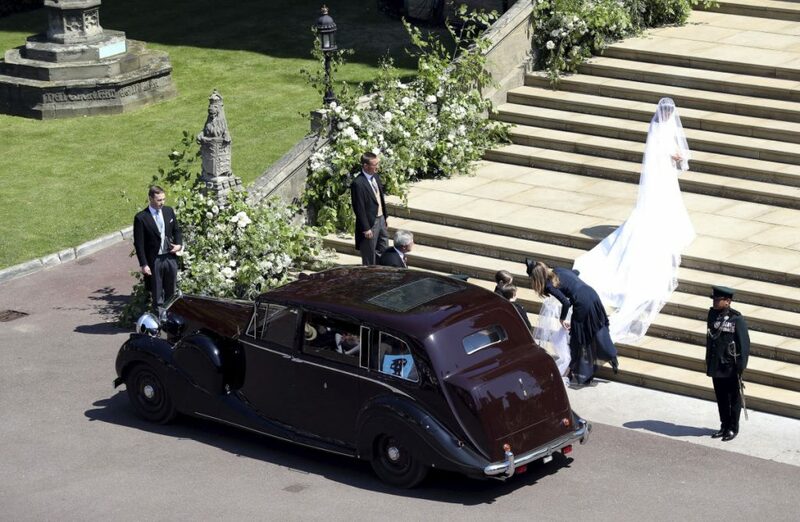 Also in attendance was the family of Prince William’s wife Kate: Parents Carole and Michael Middleton, sister Pippa Middleton and brother James Middleton. 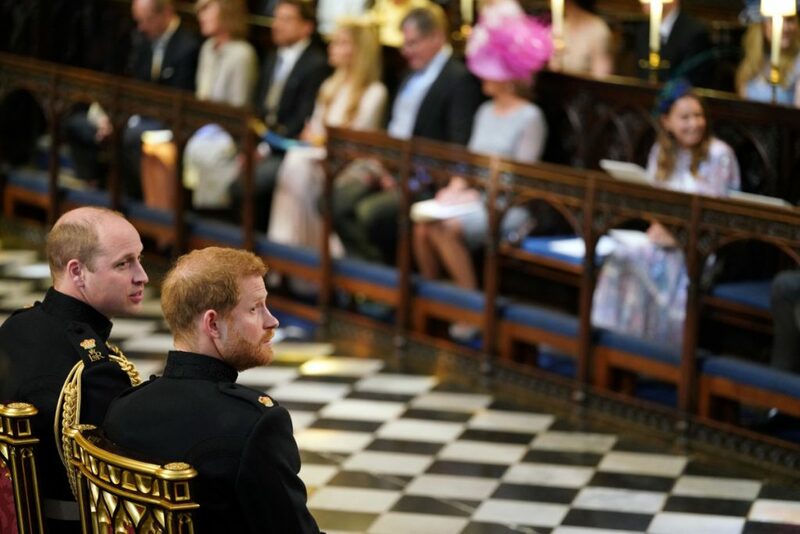 Harry’s ex-girlfriend Chelsy Davy was also among the congregation, as was Sarah Ferguson, the Duchess of York, the ex-wife of Harry’s uncle Prince Andrew. 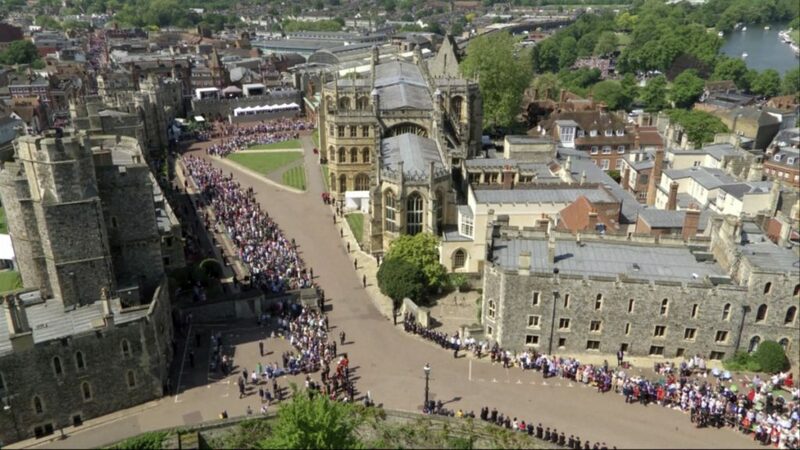 Outside the castle, thousands of fans crammed the streets of Windsor. Irene Bowdry, a lawyer from California, was aboard the jammed early train to Windsor. 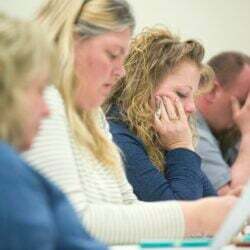 She booked her trip to England as soon as the wedding date was announced. 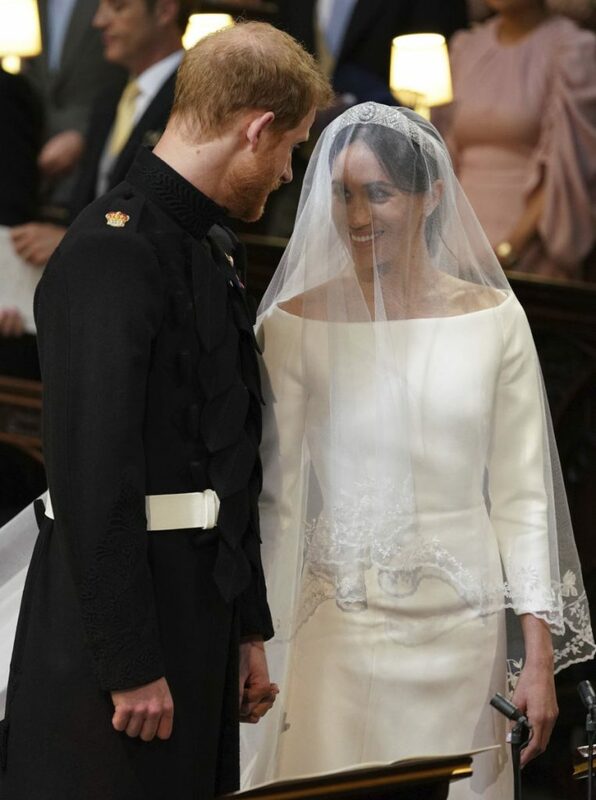 Britain’s Prince Harry and Meghan Markle smile during their wedding ceremony in St. George’s Chapel in Windsor Castle. 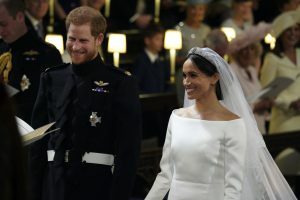 It is a time of transition for the British monarchy, one that seems filled with hope as William and Harry – the two sons of Charles and the late Princess Diana – step ever more confidently into the limelight. Many in the crowd, like Ana Karukin, a Brazilian nurse living in Florida, said they came to witness a moment of history. The brothers found the time amid the wedding hoopla to stroll outside the castle Friday evening to thank fans for coming. 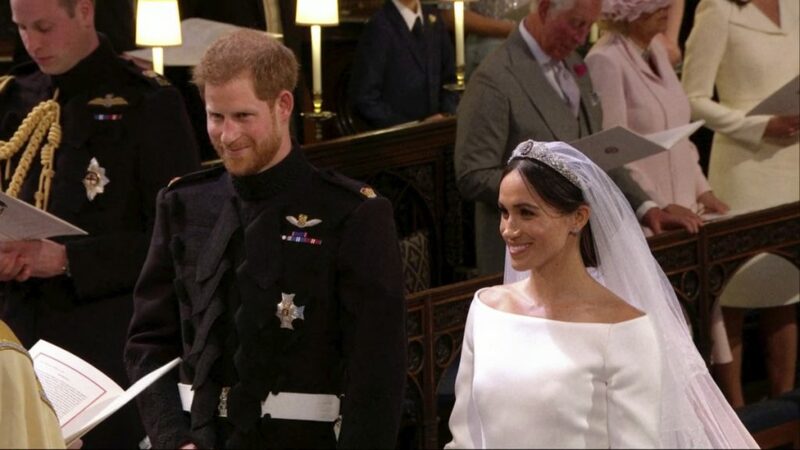 A smiling Harry gave a thumb’s up and answered “Great, thank you!” when asked how he was feeling on the eve of his wedding. 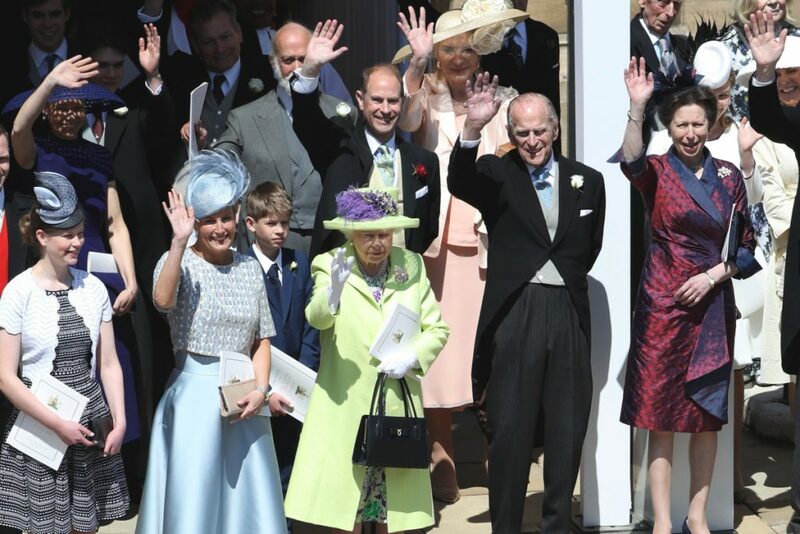 And it seems to be a time of joy for 92-year-old queen and her 96-year-old husband, Prince Philip, who plans to attend the ceremony despite his recent hip replacement surgery. 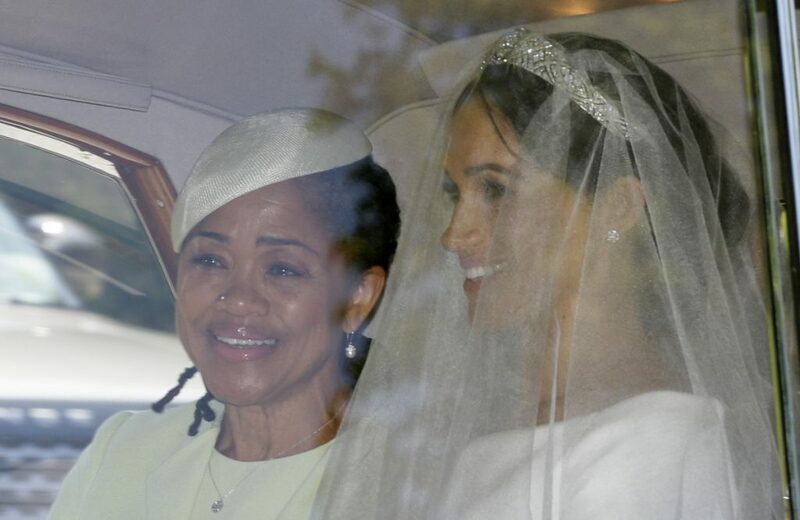 She is seeing her grandson marry a woman who clearly has brought him the happiness he’s often said was missing from his life after his mother’s premature death. 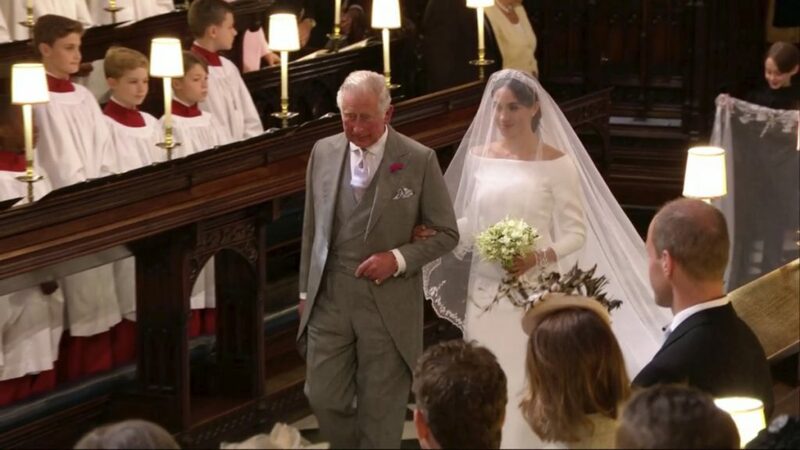 Meghan Markle walks down the aisle with Prince Charles. Then it will be off to the first of two gala receptions. 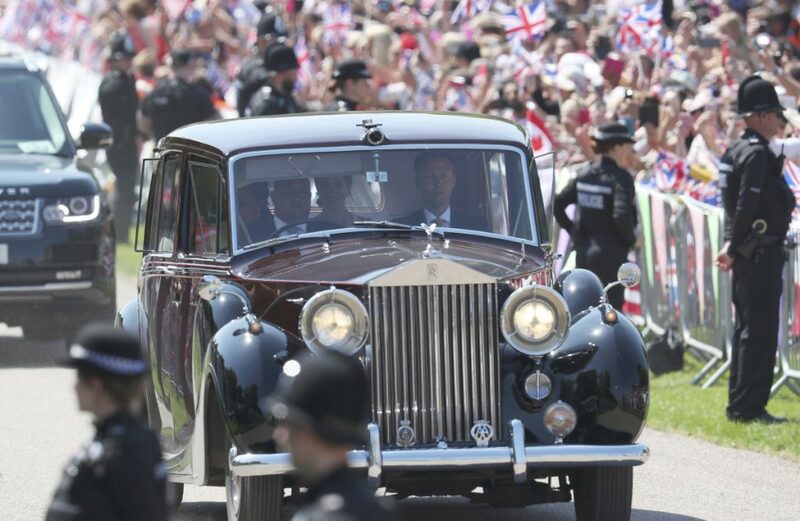 The first will be hosted in the afternoon by the queen – with finger foods, wine and champagne. The second, smaller reception is being thrown by Charles. 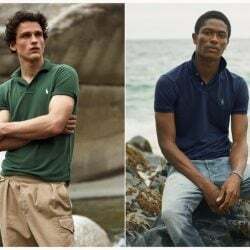 A three-hour break in between will allow for a rest and a change of outfits for the lucky 200 invited to the evening soiree. 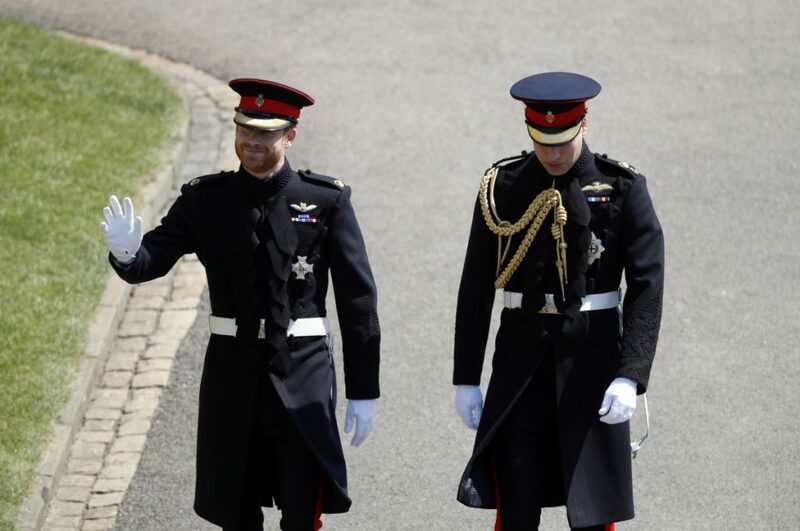 Harry invited buddies from his 10 years of military service – which included tours of duty in Afghanistan – and from many of the charities he supports, which have focused on helping wounded veterans or encouraging a more open discussion of mental health issues. 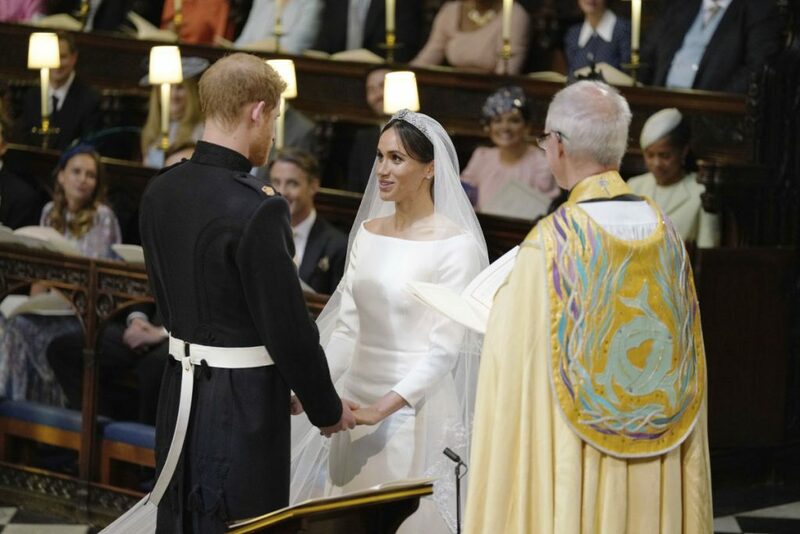 The couple also honored the memory of Harry’s mother Diana, whose older sister Jane Fellowes gave a reading during the wedding service.